The first thing you need to do is name your LLC. You must make sure that the name of your LLC is original, and you can do so by checking Massachusetts’s Secretary of State website to determine if the name is available. Names must contain “Limited Liability Company” or “Limited Company” or an abbreviation thereof, such as L.L.C. or LLC. The company name must also not confuse it with known government entities such as the FBI or CIA. Next you can file your Articles of Organization online at this website or by printing out these online forms and mailing them to the address designated therein. Be prepared to pay the non-refundable filing fee required to incorporate your LLC. In the Articles of Organization you must assign a registered agent, which must be a person or business designated by your new company. It cannot however, be the new company, but may be a person within the company. The purpose of a registered agent is to have one person in charge of officially receiving papers or important documents on behalf of the company, such as service of process for a lawsuit, during normal business hours. The registered agent must have a Massachusetts State address or be authorized to conduct business in Massachusetts. This agent will be designated in the Articles of Organization. There are companies who provide the service of being a registered agent for other companies. 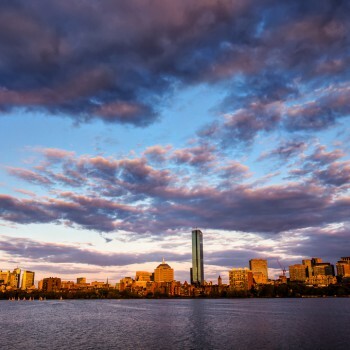 It is recommended (but not required in Massachusetts) that you also file an Operating Agreement with the State, which will be the governing agreement between the members or co-owners of the LLC. (See this article that talks briefly about how the Operating Agreement protects members of the LLC.) There are many free Operating Agreements that can be obtained online, but it is recommended that you contact your local counsel to draft a custom operating agreement that is tailored to your situation and business needs. In Massachusetts, LLCs are required to file an annual report that is due each year on the anniversary of the LLC’s formation. To operate a business successfully in the United States LLCs must have an EIN, which is a Federal Tax identification Number. An EIN is obtained free of charge from the IRS after a company is formed. This number tracks the business entity and allows the IRS to properly assess and collect taxes, similar to the way a social security number does so for citizens. Business owners can apply online for an EIN, or print the necessary form and mail it in. Companies should figure out their State tax obligations at SBA.gov. Depending on the type of business that your LLC will operate, certain business licenses or local permits are required by each state for its operation. In addition, there are many employer requirements for insurance, employment eligibility verification, income tax withholding, and other reporting requirements depending on your state. Contact your local counsel or employment specialist to determine which of these requirements you must fulfill. We understand complex legal rules and advanced concepts that are valuable to business leaders and entrepreneurs. Our purpose is to help you understand these critical principles so that you can spend more time working and succeeding in business and less time worrying about how business is supposed to work. Making smart decisions, within the boundaries of the law and ethical responsibility, allow business owners the flexibility they expect to successfully direct their company toward their daily, monthly, and ultimate goals.